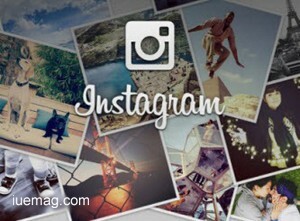 Instagram is a free photo sharing program launched in October 2010 that allows users to take a photo, apply a digital filter to it, and then share it on a variety of social networking sites. Here are 10 points which will help you understand the app before you get started. 1. Take a lot of Pictures but don't upload all of them. Narrow it down to a hand-few and upload only the best. 3. Tagging a Location will help you and others understand the insights of a particular area. Getting to know what is being talked about in a particular locality can help you plan better. 4. A distinctive feature confines photos to a square shape, in contrast to the 4:3 aspect ratio typically used by mobile device cameras. 5. Instagram’s calling card is the photo filter, when added to a standard photo, gives it the appearance of professional editing. Some filters enhance the colors in a photo, while others dull the light to a soft glow for an aged, vintage appearance. 6. Another celebrated editing option on Instagram - tilt-shift allows you to selectively focus certain planes of the photo. Tilt-shift gives the appearance of an altered depth of field, which can make smartphone snaps look stunning when used wisely. 7. Choose how specific your genre will be. Being found in a group of your interest is any day better than being lost in an audience. This will in turn lead you being found in the bigger audience. 8. Add mentions and hashtags and share across the social networks that you wish to be present in. 9. You can Find Potential Customers if you know how to track and monitor the right keywords. You can surface users who are looking for your product/service and introduce yourself. 10. Develop a Style by choosing the right theme for your photos because, at the end what will be remembered is how well you presented your pictures. Any facts, figures or references stated here are made by the author & don't reflect the endorsement of iU at all times unless otherwise drafted by official staff at iU. This article was first published here on 17th February 2015.